Stylish Wedd has everything you need to achieve a cohesive look for your wedding day. 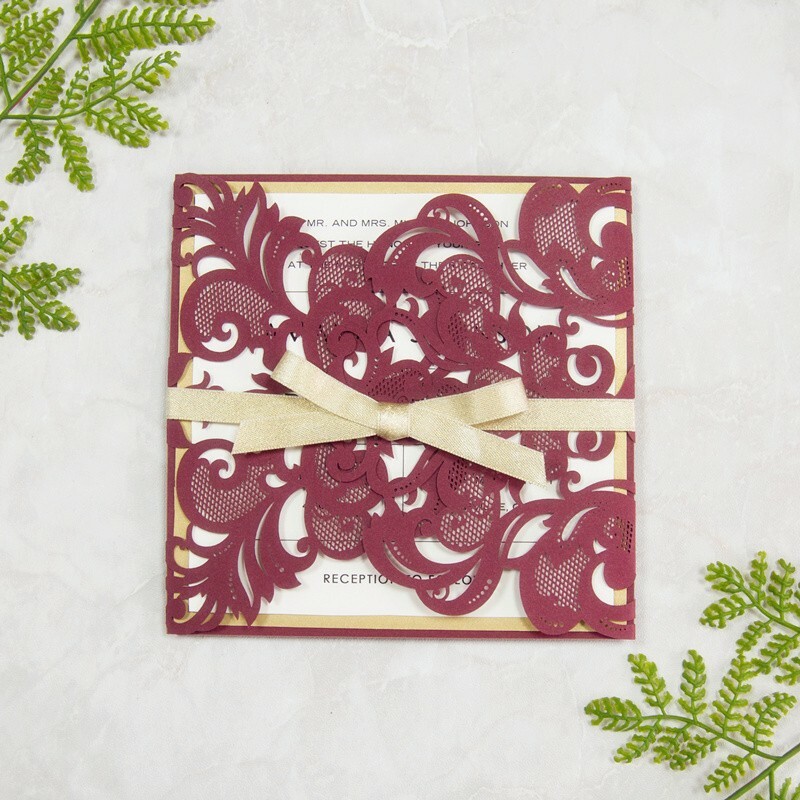 No matter what your wedding style is, they have the perfect dress or invitation suite you've been dreaming of with several color options to choose from. 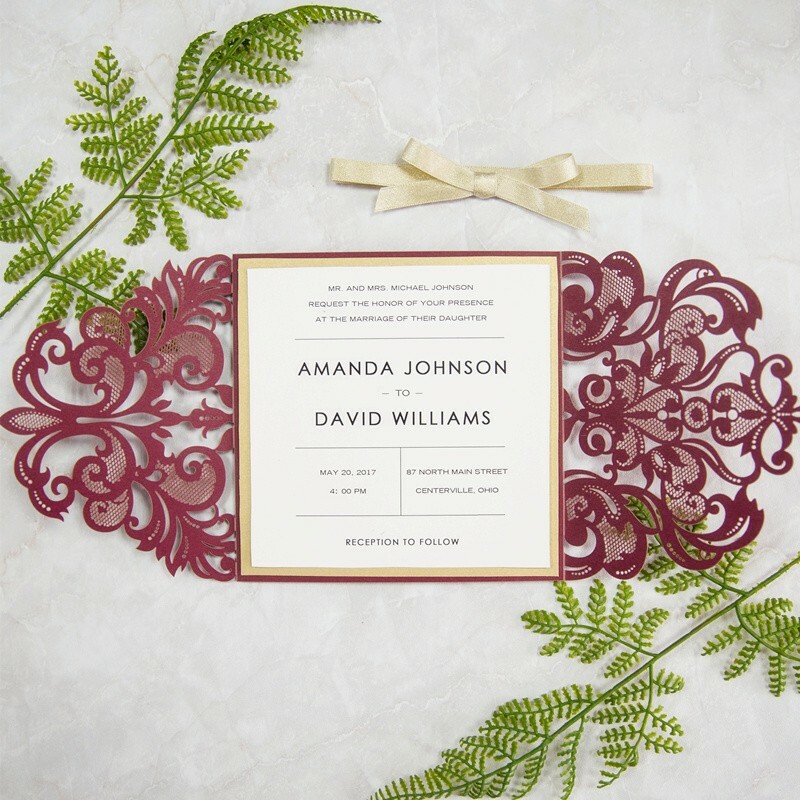 We’re especially smitten over their laser cut wedding invitations which are sure to make a statement with their intricate designs and embellished details. From wedding dresses to custom invites, Stylish Wedd takes the guesswork out of planning your dream wedding, all without breaking the bank. That’s right! They’re style friendly and budget friendly too. Keep scrolling to see some our favorite picks below and to start shopping. Your bridesmaids deserve some love, so give them a dress that's fit for a queen! 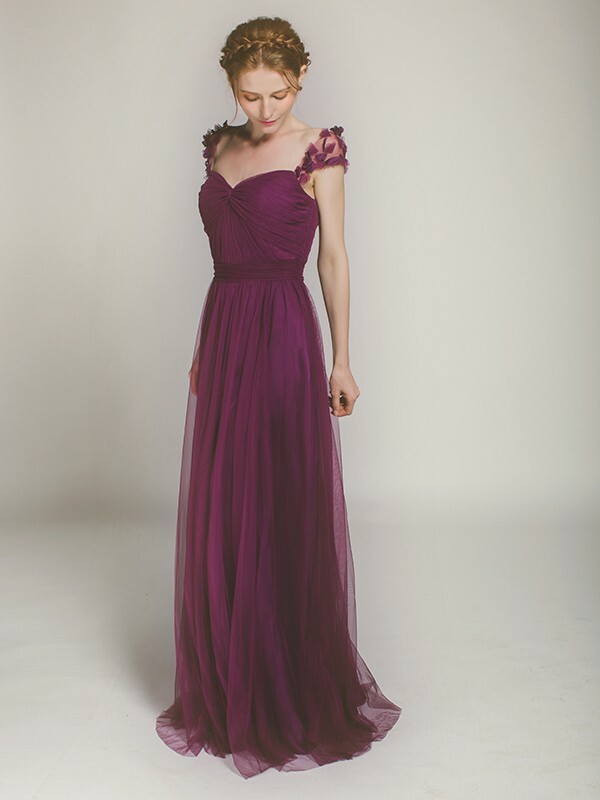 This gorgeous a-line bridesmaid dress is a total dream with it's flowing tulle skirt and floral straps. The perfect bridesmaid look for any season! Shop this dreamy look here. Your invites say a lot about your wedding style, so why not go all out? 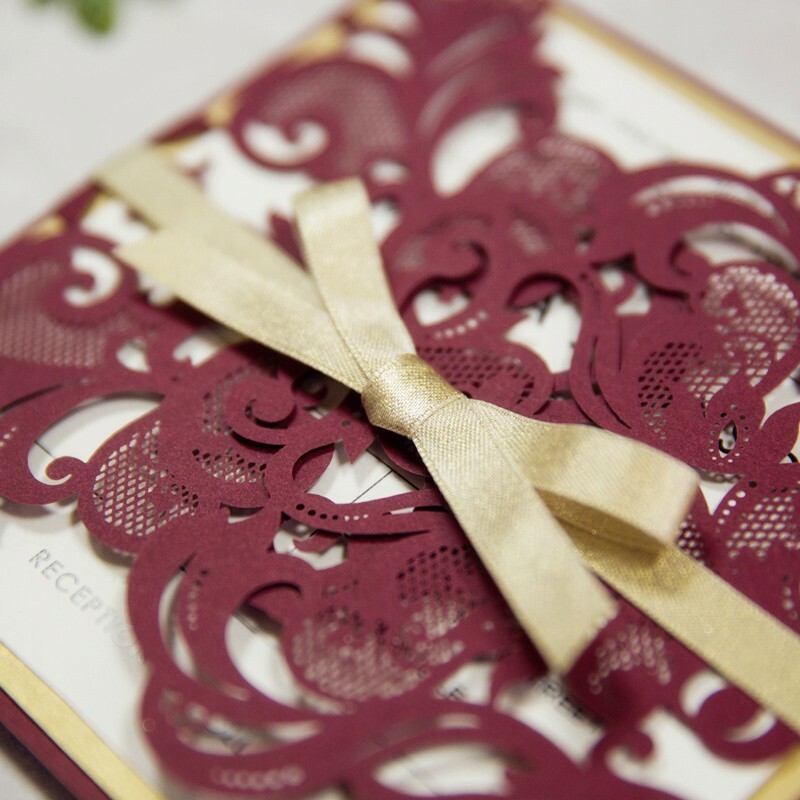 WOW your guests with this gorgeous laser cut invitation suite in burgundy and gold. Topped off with a gold bow, these are just too pretty for words! Shop for this elegant invitation here. With so many options to choose from, let Stylish Wedd help you create the perfect cohesive look for your best day ever.